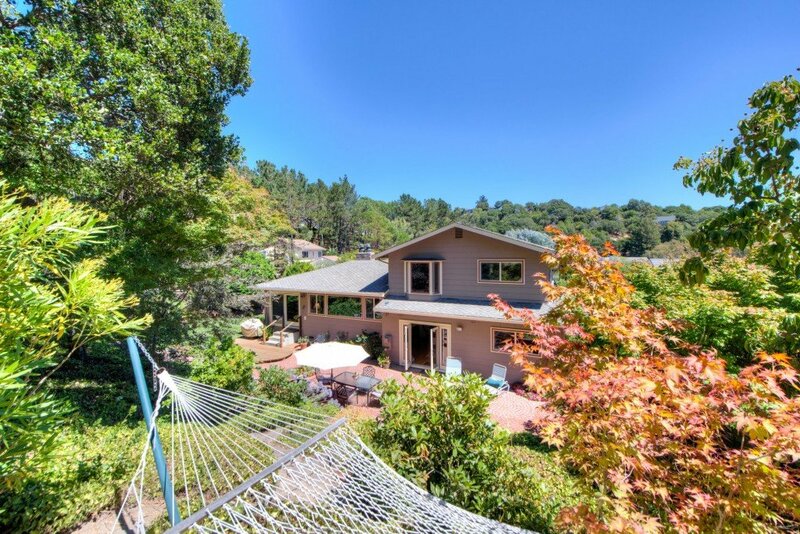 Situated on an almost 1/3 acre premiere Glenwood lot, this spacious home offers a light-filled open floor plan with great indoor/outdoor flow, a desirable cul-de-sac setting and an enormous wrap-around yard backing to the China Camp open space. The home's curb appeal is enhanced by the beautiful paver driveway and entrance. The expansive, well-designed floor plan offers large rooms and easy access to the impressive and private, park-like yard with lovely custom brick patios, grass areas, fruit trees, and lush landscaping. Enjoy hiking and biking across the many nearby trains, golfing at Peacock Gap Golf Course or a leisurely day at McNear's beach or China Camp State Park.